What kind of world are we leaving to our grandchildren? Can we even imagine a world after climate change? Some of the world's greatest authors, including David Mitchell and Kim Stanley Robinson, grapple with climate change and our future in a new story collection. Here's a review by Pauline Masurel from Green Prophet. Bill McKibben was arrested in August this year while protesting against TransCanada's proposed plans to build a pipeline that would carry oil from the Alberta tar sands to Texas. McKibben has written: "This is really really important. Jim Hansen, the world's most important climatologist, has said that if we burn these tar sands in a big way it will be ‘essentially game over for the climate.' That's worth reading again. The oil companies and the Koch Bros are willing to take a few years of big profits in return for cratering the planet's climate system." You might think that the facts would speak loudly enough for themselves, but McKibben has also written an introduction to this collection of short stories which aims to show that fiction can speak as persuasively as fact in making the point about the wounds we are inflicting upon our own planet. The book's title is taken from a quote attributed to the environmentalist John Muir, "When it comes to a war between the races, I'm with the bears." The collection begins with T.C. Boyle's story of eco-activists fighting against deforestation. Kim Stanley Robinson's Sacred Space looks at the environmental changes facing the Sierra Nevada region. As expected, these stories are clearly directly connected to the effects of human environmental destruction. But my favourite stories in the book take a more oblique angle on the theme. In Lydia Millet's Zoogoing there is no immediate, overt environmental angle. Initially this seems to be the story of someone who likes getting too close for most people's comfort to animals in zoos. But the story goes on to consider a very human angle on what it means to be endangered and waiting for extinction. Similarly, Nathaniel Rich's Hermie uses humour, featuring a talking hermit crab. Like so many of these stories it has a tinge of sadness despite the humorous style. But there are plenty of smiles to be found too, with creations like Toby Litt's ‘Tescocommunists' and ‘Walmarxists' in a story which kookily conflates the blitz of the second world war with the blitz club of the 1980s London dance scene, aping the postmodern way that most nostalgic reruns of historic trends manage to make a mash up of time. Even the title of the story, Newromancer, is a pun on the classic William Gibson cyberpunk novel Neuromancer. There are two stories set in 2040. Helen Simpson's contribution is a diary account and possibly the most terrifying vision of societal breakdown to go with climate destruction. David Mitchell's, The Siphoners is also a scarey vision of the future, featuring a story within a story, reminiscent of the complexity of his novel Cloud Atlas. But it also involves a sobering reflection upon the possibilities and implications of population control. One of the impressive features of this collection is the variety of different approaches to the topic, including reflections upon the numerous different ways in which we have trashed our planet, or at least exploited it, and may one day be called to account. For example The Tamarisk Hunter considers the importance of water supply as a vital resource and extrapolates upon the lengths that people will go to to obtain supplies. Even the stories that have speculative or predictive elements to them are firmly rooted within the past and the present. Margaret Atwood's short-short story ends the book with a creation myth that turns into a destruction myth. She writes, In the fourth age we created deserts. Our deserts were of several kinds, but they had one thing in common: nothing grew there. Some were made of cement, some were made of various poisons, some of baked earth. We made these deserts from the desire for more money and from despair at the lack of it. 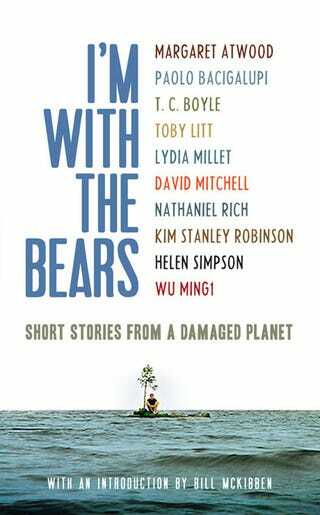 This collection may not persuade everyone to side with the bears, and that's fair enough, but it does present some of the possible reasons to do so in interesting and entertaining short-fictional ways. Royalties from the sale of this book go to 350.org, an international grassroots movement to reduce the amount of CO2 in the atmosphere.